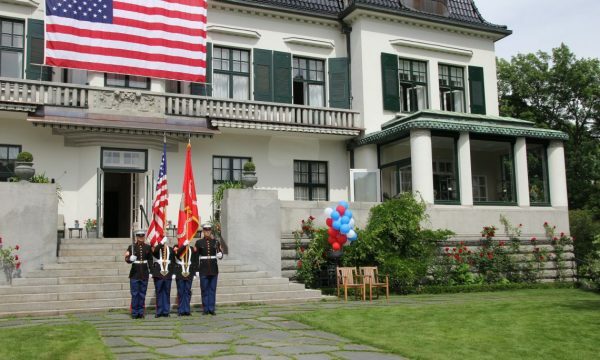 Immediately prior to moving to St. Augustine and opening our home inspection business, I worked for the Department of Defense for six years at the U.S. Embassy in Oslo, Norway. Norway is a wonderful country full of beautiful scenery, nature and unique history. Walking in the footsteps of Vikings on a cold misty morning by the sea where we lived was an exhilarating experience. As part of my work I had the pleasure of regular visits to the Ambassador’s residence, Villa Otium on Solheimgata. This is an historic home built in 1911 for Hans Andreas Olsen, the Norwegian Consul General at St. Petersburg and his wife Ester, the niece of Alfred Nobel. They only lived in the home for 10 years before selling it to the United States. The house is opulent but it’s not the decorations that stand out. It’s the 100 year old architecture and the attention to detail that the enduring homes of that generation have. 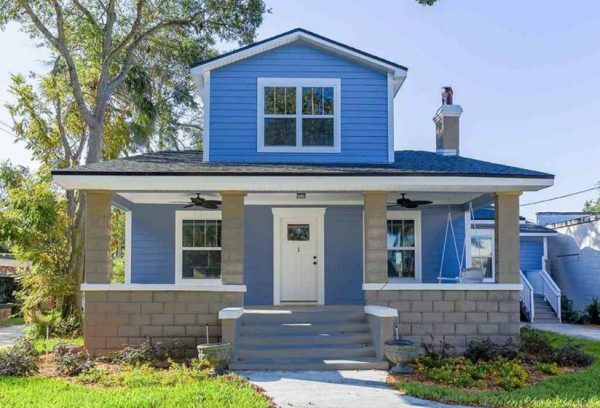 I’ve recently inspected three homes built between 1925 and 1927; two in Jacksonville and one in St. Augustine. Older homes can be charming but you need to know what you’re getting into before you buy one. I’m often asked what are the most important areas to focus on when fixing up a house. The answer is the same regardless of the age of the house: the roof, the electricity, and the plumbing. Repair the most pressing issues in these components first and you’ll be on the right path. Neglect any of them and it could lead to disaster. Nowhere is this truer than in an older house. The roof is always the first thing that I examine on a home inspection. Many of these older houses have had several different roof coverings over the years but the same roof decking. To the unsuspecting buyer the roof looks great. A trip into the attic to see the underside of the decking brings a different perspective. Usually this decking is dimensional lumber which is a great way to build a roof. But 90 plus years is a long time for the roof to stay water tight and many of these boards will show signs of wood decay even if they are currently dry. Does this mean that they all need to be replaced? Not necessarily; they could still be structurally sound. It is possible though that some boards are so damaged that they will need to be replaced and that’s tricky business if the roofing contractors are trying to work around the new covering. It could get expensive. To some people, the charm of living in the historic home is worth the money and the headaches. The other extreme is the 90 year old original roof that’s still on the house. 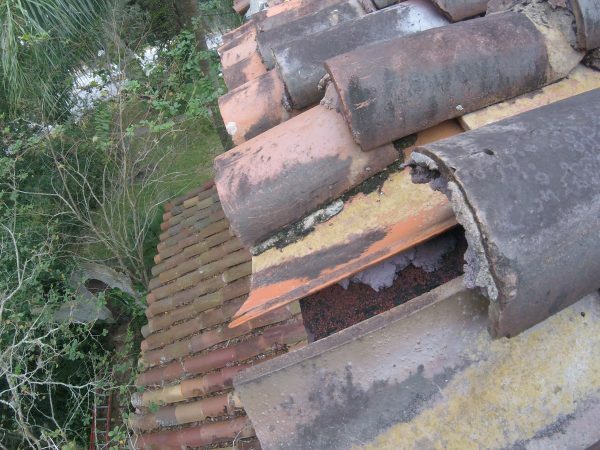 If the roof is made of clay tiles and they have been cared for it may not be any problem at all. They could last another 20 years or more. If they haven’t been cared for though, that’s a money pit for a new buyer. 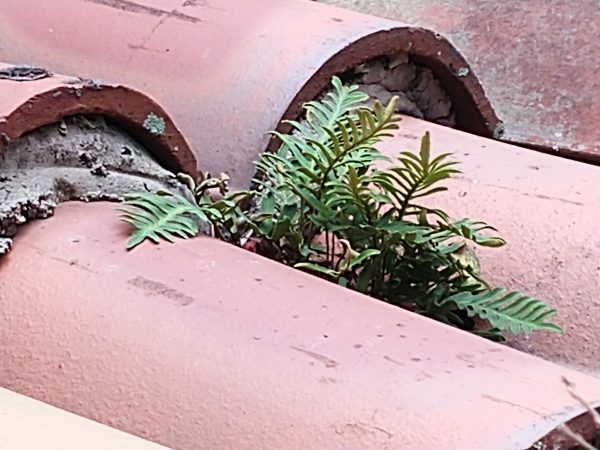 On the historic Jacksonville house I inspected last week there were missing and cracked tiles and grass growing out of the decayed leaves and branches that are now a permanent part of the roof; these are bad signs. Very fortunate for me and the buyers was a rain shower that started after I was done inspecting the roof but prior to inspecting the attic. Drip, drip, drip was the sound of the water coming through the roof in the film that I made in the attic; nothing quite like video evidence to illustrate a problem. Eventually every roof needs to be replaced and if you’re intent on buying a historic home you need to recognize the added expense that this may entail. The electricity is also a special concern in older homes. 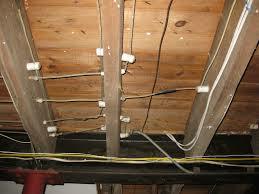 Most home inspectors on the first coast of Florida never come across active wiring from the 1920s. Typically all of these homes have been updated, maybe more than once. If it is original it will be knob and tube. This was the standard way to wire a house from the mid-1880s until the mid-1930s. Knob and tube consisted of single insulated copper conductors and porcelain tubs and knobs that protected the wire. If the historic home you’re considering buying has active knob and tube wiring it will need to be replaced; insurance companies in Florida won’t give you property insurance with active knob and tube wiring. Fortunately, most older homes have been updated to newer standards at some point in the past. On a home inspection of a 1925 house last week in St. Augustine I found the electrical system had been completely updated. It was like inspecting a brand new home, perfect wiring. Quite the opposite from the Jacksonville home inspection of a couple days later. This historic home from 1927 was updated piecemeal over the years. Some was done well, some not so well. This home had just about every electrical wiring issue you could think of. Some as simple as missing screws in the electrical service panels to more serious problems like outlets with reverse polarity and no grounding wire. Although at some point someone had installed GFCI outlets in appropriate places, they didn’t work, there was no ground fault or arc fault protection. Every room was a new issue for the new owners to address. It will definitely be a challenge, but I suppose the reward for them when they’re done will be worth it. The plumbing can also be a concern for a buyer and a home inspector when inspecting historic homes or when purchasing one. The most important consideration is the age and the material. Copper and brass can last for fifty years while steel may wear out in as little as 20. Either way it’s unlikely that the pipes will be original from 100 years ago. Many older houses that home inspectors see have been upgraded and plastic pipes seem to be the material of choice. CPVC is the most common material used in newer homes today. It has a service life expectancy of more than fifty years and is very reliable. 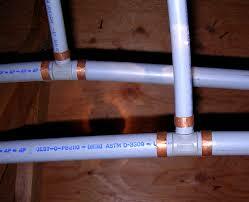 Another type of plastic pipe home inspectors see is PEX. This has a service life expectancy of 30-40 years and is a reliable material. What you don’t want to find is polybutylene. This material was used extensively during a 20 year period starting in the mid-1970s because it was inexpensive and easy to install. Estimates are that one in five homes built or remodeled during these years have poly pipes. Polybutylene pipes are usually greyish in color and are a flexible plastic, unlike CPVC which is rigid. It’s thought that the polybutylene material reacted poorly with the chlorine that is added to drinking water by many municipalities and to home cleaning products. The pipes would break down suddenly and burst without warning causing extensive damage. If you’re considering buying an older house make sure you have a home inspection and make sure your home inspector is familiar with polybutylene. Historic homes have a certain charm that some newer homes lack. Researching and knowing their history is fascinating and caring for them while it’s your turn to live in them is rewarding. But you need to know what you’re getting yourself into. They can be very challenging and expensive to maintain. Take a close look before you decide and hire a home inspector with experience in older homes to show you what you might have missed.